With the explosion in brain research during the past 10 to 15 years, scientists now know more about the brain than ever before. 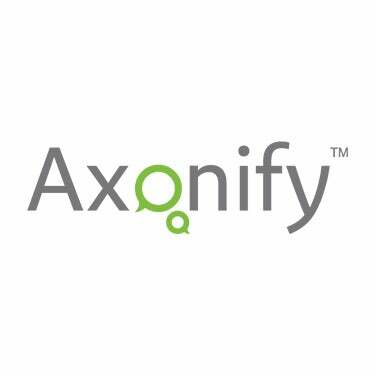 Advancements in brain training software designed to improve memory, attention and other aspects of cognition offer organizations a new way to think about, develop, and deliver training. These advances are paving the way to a fundamental transformation to the traditional and outdated approach to corporate learning. So how is this research set to rewire the corporate brain, and the world of eLearning? I was fortunate to sit down with Dr. Alice Kim of the Rotman Research Institute at Baycrest Health Sciences in Toronto, a premier international center for the study of the human brain, along with Carol Leaman, CEO of Axonify to discuss what the latest brain research has to offer in terms of practical, accessible, and scientifically proven alternatives to traditional corporate learning. 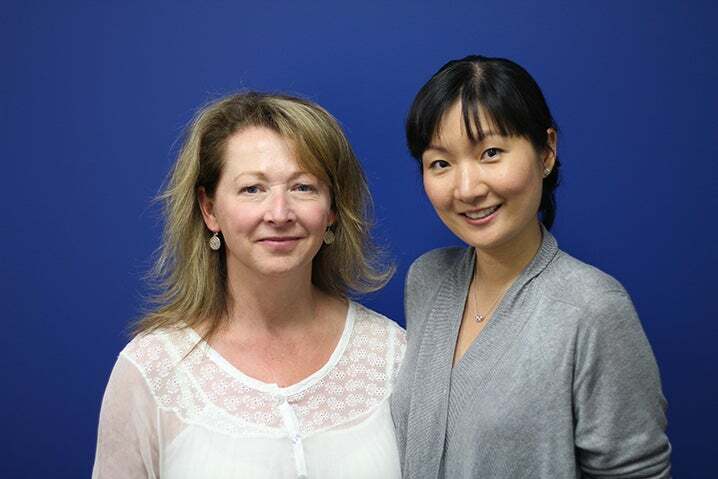 Our CEO Carol Leaman (Left) and Dr. Alice Kim (Right). Q: What has led to the explosion in brain/memory research over the last decade? Dr. Kim: There are a number of factors that have contributed to the recent surge in brain research, but certainly, advancements in state of the art imaging technologies and methods of analysis are allowing neuroscientists to investigate the brain with more precision and in greater detail than ever before. Advancements in machinery, including, for example, simultaneous functional magnetic resonance imaging (fMRI) and electroencephalography (EEG) recordings, which provides a high structural and temporal resolution of brain activity, are enabling scientists to uncover new insights about cognition and the brain. Q: Can you summarize some of the key findings? Dr. Kim: Well we know that there are multiple factors that affect our brain and cognition. For example, there is a lot of research demonstrating the effects of age and lifestyle. We know that as we age, on average, many aspects of cognition become less efficient. This would include the speed at which we can process information, as well as our long-term memory. At the same time, other aspects of cognition remain relatively resistant to cognitive aging, including, for example, our world knowledge. In terms of lifestyle, the science tells us that regular exercise, healthy eating and sleep habits, as well as social activities and interactions all benefit our cognition. The science also shows us that our brains are not static, and that it can change in form and structure as a result of our lifestyle choices. This ability for the brain to constantly change throughout the lifespan is referred to as neuroplasticity. Whereas a healthy lifestyle will lead to positive changes in the brain and cognition, for example, an increase in the number and strength of connections between neurons, an unhealthy lifestyle will lead to the opposite. Q: Can you discuss in more detail the one aspect of cognition that we’re all consumed with – memory? Dr. Kim: Very generally, there are two types of memory. The first type is called declarative memory. If you can tell me what you did last weekend, you’re tapping into your declarative memory. The second type of memory is called non-declarative or procedural memory, and this type of memory comes into play when you read, tie a shoelace or ride a bicycle. Past research has identified principles of memory that we can all use to enhance our memory in our daily lives. This includes the ‘spacing effect’ and the ‘testing effect’. Q: Can you elaborate on the ‘spacing effect’ and the ‘testing effect’ and how they enhance memory? Dr. Kim: The ‘spacing effect’ and the ‘testing effect’ are two of the most robust findings in memory research. The spacing effect (also referred to as ‘distributed practice’ or ‘interval reinforcement’) is a well-documented practice of “drip feeding” information over time with specific spacing in between. Long-term retention of the information in question improves as the spacing between repeated study events increases. Basically, spacing is the opposite of cramming where the same information is practiced repeatedly within a short span of time, and it has been proven to benefit long-term retention in both the lab and in real-world settings. And although we know that cramming may work for the very short term, it doesn’t promote long-term retention. So one cognitive strategy that can be used to improve memory is to space out or distribute our study/practice sessions over time, and this will enhance our knowledge retention. The testing effect refers to the finding that once information can be retrieved from memory, repeatedly retrieving this information is more effective for long-term retention compared to repeated study. In light of this finding, tests and quizzes should not only be regarded as a means of assessing what has been learned, but also as an effective learning tool. In our everyday lives, we can make a habit of quizzing ourselves and frequently retrieving any piece of information that we want to remember. When retrieval practice is combined with spacing, it is referred to as spaced retrieval. This combination has been shown to be very effective for long-term retention. Basically, what this means for us is that we should actively retrieve the information we want to remember, and that we should space out our retrieval over time, as opposed to cramming it into a short span of time.